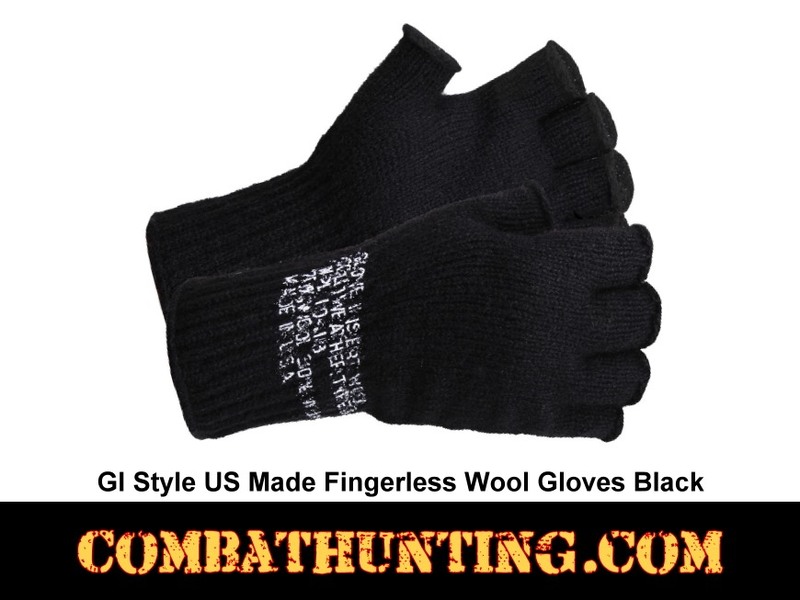 Black US Made Fingerless Wool Gloves features 70% Wool, 30% Nylon for strength and durability. These gloves can be worn as a liner or as just a glove. Available In These Colors: G.I. Olive Drab 8410 and G.I. Black 8411.